My glowing review of Khyber Grill in South Plainfield, an Indian restaurant that manages to set itself apart from its many kin along Oak Tree Avenue. 74 places around the state to dine well for $15 or less. I contributed 11 of the entries to Cheap Eats, and I’d love to know your recommendations. 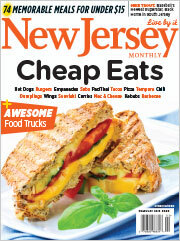 Your chance to vote for your favorite Jersey restaurants in the magazine’s annual restaurant poll. Sunday February 3rd is not just the Super Bowl, it’s Oyster Bowl XIV, the big event before the bigger event. 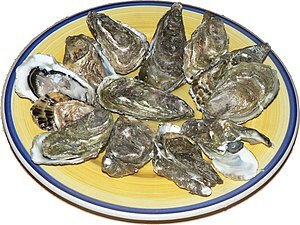 How many oysters can you down in 2 minutes? The all-time record is 102 (accomplished by a tiny woman, I think), but you’ll only have to beat the other contestants that show up for this year’s competition. You can always go and just watch (and catch a good meal), but there are tons of prizes in addition to the trip, and all proceeds go Komen for the Cure. Festivities run from 11 am to 2 pm at the Blue Point Grill in Princeton. Details – and to register as a contestant – here. This is my second mention within a month of the fantastic cultivated exotic mushrooms of Princeton’s Alan Kaufman on my website – that’s how good they are. 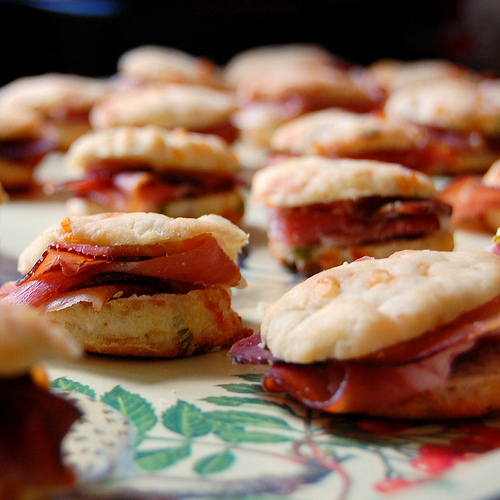 Chefs from New York (hello, Daniel Boulud) to DC have discovered them. You can get an idea of the range and quality at two special 4-course dinners starting at 6 pm on Wednesday, January 30 and Wednesday, February 20 at the Brothers Moon in Hopewell. 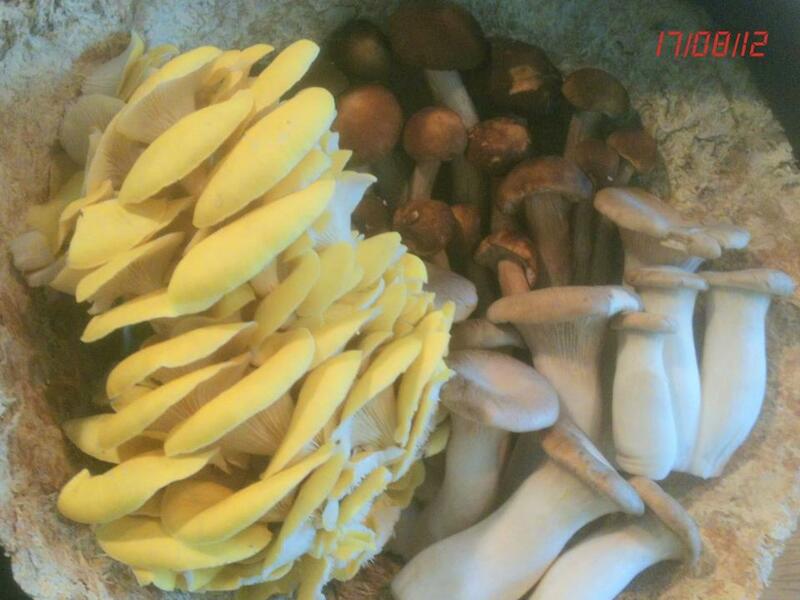 Dishes (including dessert) feature pioppino, maitake, lemon oyster and grey oyster, shiitake, and lion’s mane mushrooms. Cost is $49. Check out the full menu here. This entry was posted in Events, Favorite Finds, Restaurants and tagged Alan Kaufman, Blue Point Grill, Brothers Moon, Cheap Eats NJ, Daniel Boulud, grey oyster mushrooms, Hopewell NJ restaurant, Khyber Grill, Komen for the Cure, lemon oyster mushrooms, lion's mane mushrooms, maitake, New Jersey Monthly, NJ Monthly restaurant poll, Oyster Bowl, piopino, Shibumi Farm, Shibumi Mushrooms, South Plainfield restaurant. Bookmark the permalink. Loved the Cheap Eats article! However I noticed some striking omissions. In Jersey City’s Little India, the super standouts are Rasoi and Dosa Hut. Truly not to be missed. and downtown is the yummy and popular Big Chef for Chinese and the beloved Ibby’s (middle Eastern) by the Grove Street PATH station. In Newark, the Portugese bakery Pao de Terra that also serves amazing soups and sandwiches to an always packed house. Happy to know about these! Thanks, June.